By this point, many people all across the globe know of a game called Apex Legends. 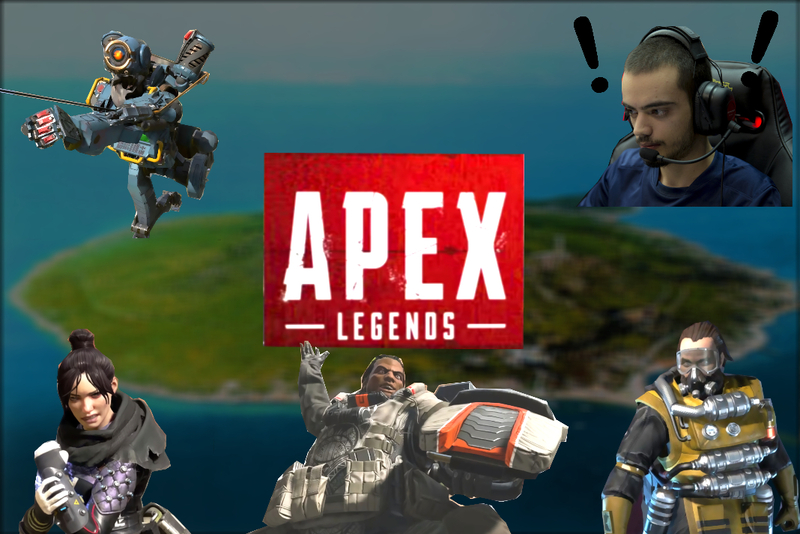 Apex Legends is a first-person shooter battle royale in which twenty teams of three fight off against each other in a battle to the last one standing. I am going to give my own opinion on three different aspects of the game: Lore/Story, Graphics/Looks, and Gameplay. After going over each individual topic, I will give the game a score for that topic. Lore is on a scale of one to three. Graphics is on a scale of one to three. Gameplay, however, is on a scale of one to four. Gameplay always holds a special place for any gamer because even if the story and graphics are good, if the game doesn’t work correctly then it won’t be near as enjoyable. These scores all add together to get an overall score at the end for the game. Let’s hop into the first category! 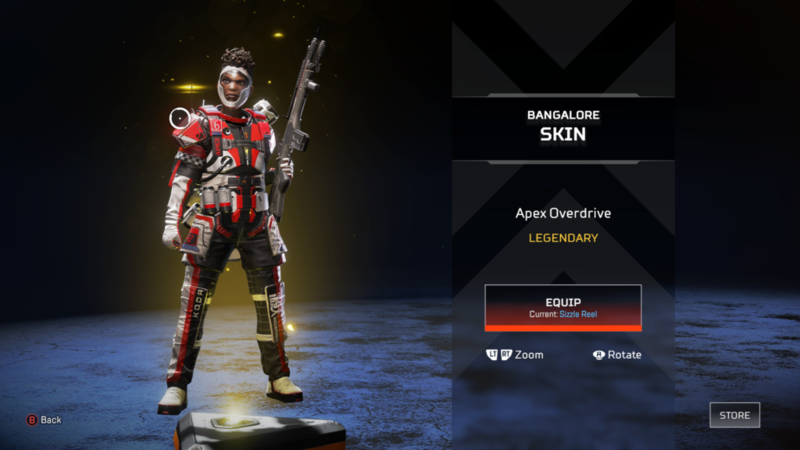 A legendary rarity skin for the character Bangalore. Screenshot by Joseph Smith. The way that this game is structured makes it difficult for them to put in a full story for us. I didn’t actually know anything about the game’s universe until my roommate told me a bit because he played Titanfall (which is in the same universe). I don’t blame them for not explaining the universe, but I feel the need to take off points for this. They could have helped with this by giving us a tab for lore and background to the characters at the very least. I may be missing something, so feel free to inform me about it on social media! Until someone is able to inform me otherwise, I have to give this section a one. I just don’t see enough development to warrant giving it a higher score. What this game lacks in story, they make up for in graphics. Everything in game looks very clean and well put together. The attention to detail is great and the particle effects they put on the guns’ shots looks amazing. The character and map designs also flourish in stunning pixels that dance across your screen. If you are looking for good graphics, this game will meet that requirement no problem. As you could probably already tell, I think very highly of this game’s graphics. This leads me to giving it a three on the scale. Apex Legends surprised me on this section. Going into it, I felt very hesitant to actually start playing. I thought it would be some generic battle royale like Fortnite, but it turned out that I was wrong. It takes a twist on the already existing tactics and builds upon them. The mechanic that every battle royale has is the closing play area. Each game has a different name for it and this game chose to call it the ring. The ring gives you plenty of time to loot what you need to, but if you lag behind then you are still fine. If you are outside of the ring, the damaging field still doesn’t take much out of you. It takes a while of being in the field to actually do considerable damage that would take multiple healing items. After the ring is the different classes you can play as during the game. Each character has their own unique moveset that allows for diversity in gameplay. Also, unlike quite a few games, each character actually has a major purpose and is worth using. Then there come the guns. Each gun has a different fire-style and range advantage. This requires you to think ahead about what loadout you are going to want to go into the late-game. It all feels very active in gameplay and earns my respect. In conclusion, I give gameplay a four on the scale. Overall, this game is a wonderful pick up to play for free. It plays better than any battle royale out there and gives you the availability to mix it up each match. With the neverending possibilities and wonderful gameplay and graphics that brings us around to the overall score. When we add up the total, out of a rating of one to ten, I give it an eight out of ten. Previous articleAs Christians, Is It Selfish to Not Watch the News? Hello! I'm Joseph Smith and I am a Digital Media major from Trenton, Illinois. I also played on the Overwatch Esports team here on Greenville University's campus!